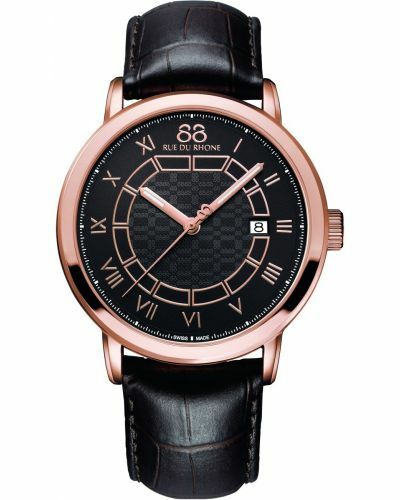 Mens classic Rue Du Rhone stainless steel and black leather strap watch with a round case engraved, 'RUE DU RHONE'. 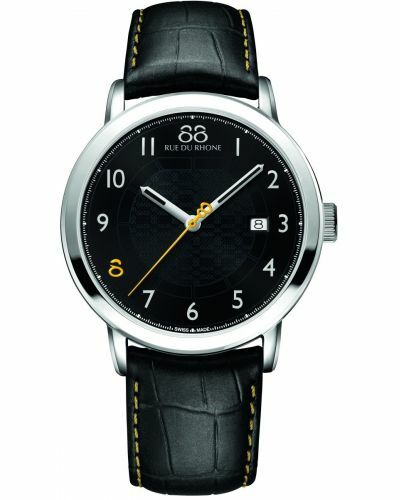 Has a grey dial with silver batons, a date window and a red seconds hand with an 8 shaped counterweight. Has a black alligator padding strap with red stitching and a stainless steel buckle. 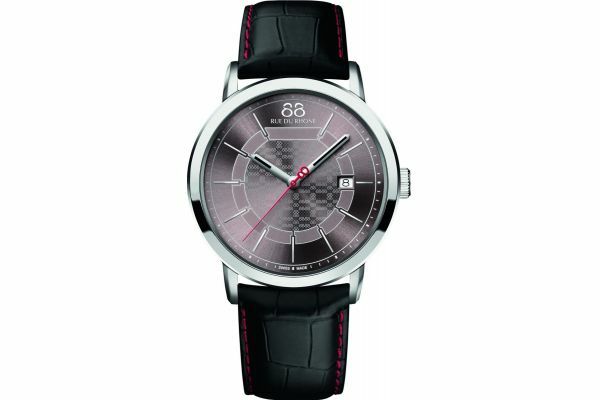 Powered by a quartz movement and comes with the Rue Du Rhone 2 year guarantee. 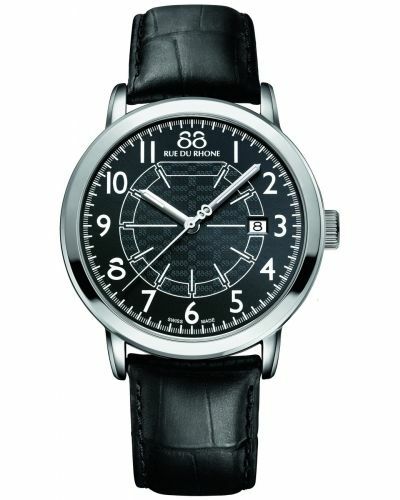 88 Rue Du Rhone 42mm Quartz 87WA140026.